About - Sarah Scarbrough, Ph.D.
BBC Radio 4 reported on 2 September 2005, that the recidivism rates for released prisoners in the United States of America is 60% compared with 50% in the United Kingdom. Dr. Sarah Scarbrough follows a model designed to work closely with your organization and produce an in depth evaluation and analysis.Dr. 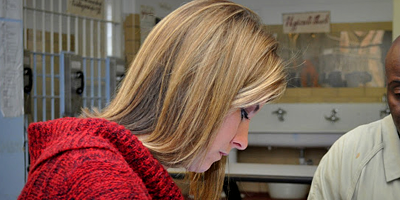 Sarah Scarbrough, an accomplished researcher, has been featured on the White House ONDCP website and several newspapers and magazines. 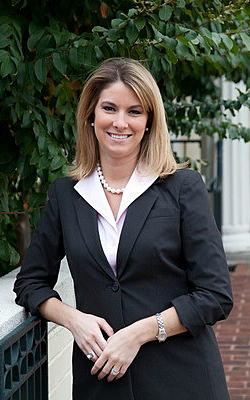 Dr. Sarah Huggins Scarbrough is a proud Virginian residing in Richmond. She received her Bachelor’s degree from the University of Virginia’s College at Wise in 2005. She graduated with her Master’s in Criminal Justice in 2007 and PhD in Public Policy in 2012, both from Virginia Commonwealth University. With a concentration in Criminal Justice, Dr. Scarbrough spent four years conducting her dissertation research titled: Reducing Recidivism in Returning Offenders with Alcohol and Drug Related Offenses: Contracts for the Delivery of Authentic Peer Based Recovery Support Services. The study revealed a significant decrease in recidivism rate (18%) and a cost savings of almost $8 million during the study period for those who went through treatment and rehabilitation. Study results have been published in numerous print and media outlets including the ONDCP Newsletter, Washington Post, Richmond Times Dispatch, Associated Press, and local NBC, Fox, and CBS affiliates. It was the over 2,000 hours spent inside of the jail researching, interviewing, surveying, and observing that led to Scarbrough’s passion and desire to do what she does today. After earning her PhD and spending three and a half years as the Director of Virginia’s Governor’s Mansion, Richmond Sheriff C.T. Woody, Jr. hired Dr. Scarbrough as his full time Program Director in 2013. In this position, where she currently has the honor to serve, Scarbrough oversees, developments, coordinates, and manages all programming, which is aimed at providing treatment and rehabilitation for those incarcerated, in an effort to break cycles of crime and incarceration. A recent study published by a University of Richmond professor found that Scarbrough’s program (The REAL Program), reduced recidivism by over 20% for those in it for over 90 days. In addition to the development of The REAL Program, one that has been recognized nationally and internationally, her innovative and cutting edge style has resulted in opportunities in the jail for the incarcerated including Hoops for Hope basketball tournament with NBA players, back to school cook outs, recording of an album in the jail’s recording studio (in partnership with Arrested Development lead singer, Speech), a housing scholarship for those who would otherwise be homeless, construction training to work program with VCU, and the receipt of a $670,000 mental health program grant. In addition to her work in Virginia’s second largest jail, Dr. Scarbrough also founded a non-profit, REAL Life. 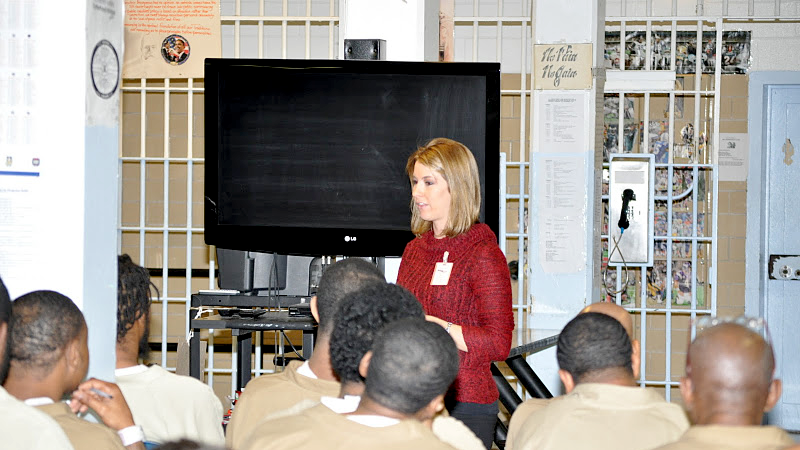 Scarbrough worked to create REAL Life as a means to continue to assist the men and women coming out of The REAL Program in the jail, due to the continuation of hurdles and obstacles post-release. While we know the obstacles will never be removed, REAL Life can help individuals overcome them with assistance with obtaining a job, support networks, mentoring, budget coach, bus tickets, cell phones, educational goals, and more. REAL Life also opened a recovery house to house men after release from the jail. Sarah is blessed to have a wonderful husband, Josh, and two precious kids who keep Sarah and Josh on their toes – the youngest (2 y/o), a total diva who always is toting a baby around. The oldest (3 y/o), an avid baseball player and hat lover! Needless to say, the Scarbrough household is never a dull one the kids 18 months apart. They love anything in the sun and in the water – in the summer, they are frequently at the pool or the beach! During winter months, they are bundled up finding inside activities where the kids can exert their energy! I am constantly asked why I am involved in this field? As a non-addict, people are so curious as to why I am so involved and have such a strong passion to help! This is a difficult answer – because there is not one particular reason that I can point to. It is a combination of reasons, as well as years of developed interest. I grew up in a law enforcement household – my dad, who I admire more than anyone in the world (in addition to my amazing mom), has dedicated his entire career to protecting society! Clearly, I was raised on the opposite side of what I am working with now. However, it was from an early age that my interest and passion developed. Growing up, I knew this area fascinated me, but if you told me I would grow up and work with inmates and substance abusers in the jail, I would probably have called you crazy! After graduating with my bachelor’s degree, I was given the opportunity to become a graduate assistant at VCU and pursue my Master’s in Criminal Justice. It was during this time that my interest in the area really developed. Working as a Graduate Assistant for Dr. Robyn Diehl McDougle, a criminal justice professor who is very active in research and working with the Richmond Police Department, gave me a different perspective into this arena. I was blessed to have wonderful professors who obviously greatly contributed to my passion as well, Dr. John Reitzel and Dr. McDougle in particular. Skipping forward a bit, I was working for State Senator Walter Stosch as one of his legislative assistants, while pursuing my PhD. It was time to select a topic for my dissertation. Someone suggested studying the economic impact of VCU on the economy – while important, that is certainly not my cup of tea! I was just having such a hard time finding something that not only interest me, but that I could use to make an impact! It was the 2008 General Assembly session, and in walks John Shinholser of the McShin Foundation, who I had met years before at an event McShin was hosting. We ended up talking about my dilemma of needing to identify a dissertation topic. He quickly began telling me about a new program McShin had started in the Richmond City Jail called the McCovery Program (today this is the Kingdom Life Ministries program). He said they just started and he would love someone to study its effectiveness. Immediately, I arranged a meeting with Sheriff Woody of the Richmond City Jail and discussed my interest in researching this program. He immediately supported the idea and welcomed me to his jail. I was a nervous wreck during my first visit to the program tier – I was entering a tier of 120 convicted male felons with some of the most violent offenders in the City. However, from the moment I stepped foot onto that tier, to this day, I was warmly welcomed and greeted with respect. I was stunned the respectful manner these men displayed toward me. Quickly, my nervousness was overcome, as I was excited about the opportunity to conduct such an awesome research study and to learn so much about such a stigmatized, hidden, and marginalized population. During each weekly visit to the jail, I learned more than I ever expected. Through almost 1,600 hours in the jail, I conducted one-on-one interviews with many of the men and really got a view into a world that I had never been exposed to except in the movies. I couldn’t believe some of the situations these men had been through – no wonder they were on drugs. With the support of the most amazing dissertation committee chair Dr. Bill Bosher, and my 3 other committee members, Drs. Robyn McDougle, Jason Merrick, and John Reitzel, I was able to complete a 223-page research evaluation and study that was conducted over a four-year period! I was able to develop a very compelling study that revealed amazing results! Not only did the program save almost $8 million and lower recidivism rates by 18%, it revealed that something different needs to happen in Virginia. Through my research and secondary data analysis, I was able to determine what is and is not working in Virginia and found how much more effective and less expensive private run programs are. I was also able to develop a best-practice model that substance abuse treatment programs should follow in order to achieve the utmost success. There are really only a handful of programs in Virginia that encompass these factors, which means we have our work cut out for us! I knew as I was working on my dissertation I wasn’t just going to put it on a shelf to collect dust after graduation, but do the opposite. I was going to use it as a tool to effect and influence policy in order to enhance what is offered in Virginia and further the knowledge base in our community and nationwide. Today, that is what I strive to do! I am a voice and advocate for substance abuse treatment and re-entry services from a non-addict point of view. I am able to provide an in depth analysis and understanding into this world and share testimony not only from the aspect of a non-addict, but also as someone who has spent thousands of hours getting to know and understand this population, what is needed, and how best to deliver it! !